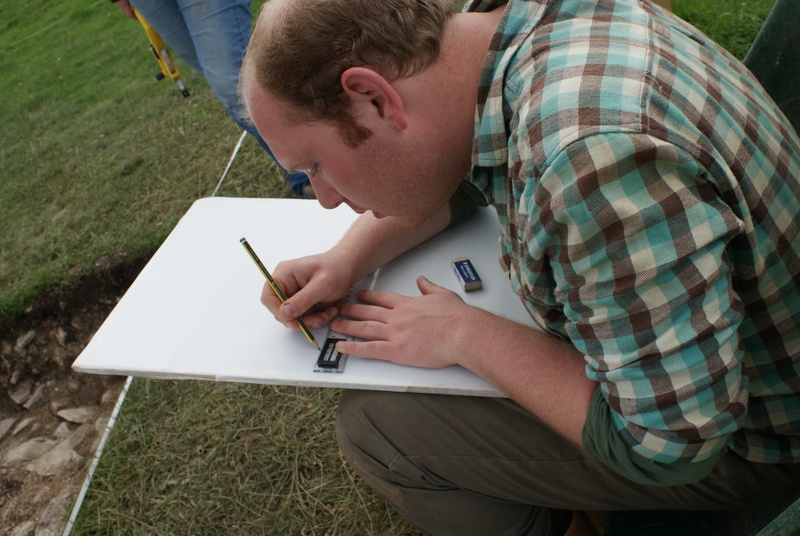 Excavated archaeology needs planning in order to survive. Friday 20th July. 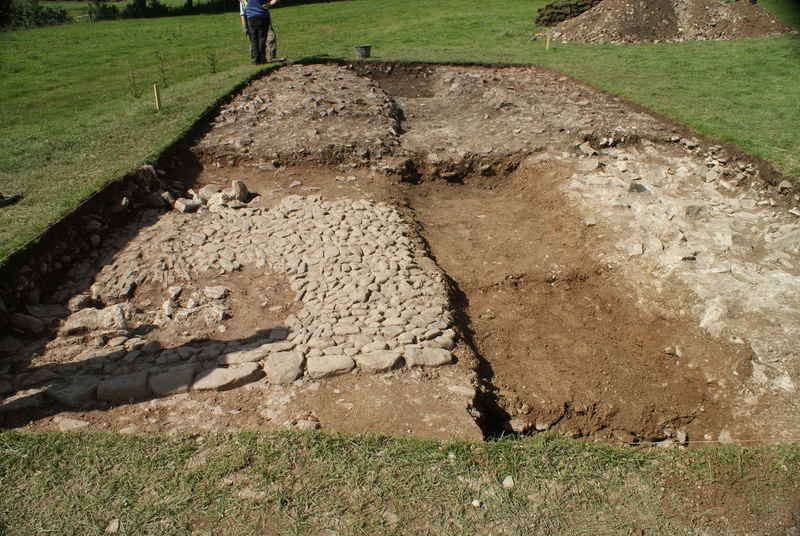 As Sir Mortimer Wheeler rightly said “archaeology is destruction”; as such we have to carefully record all the archaeology that we dig up. 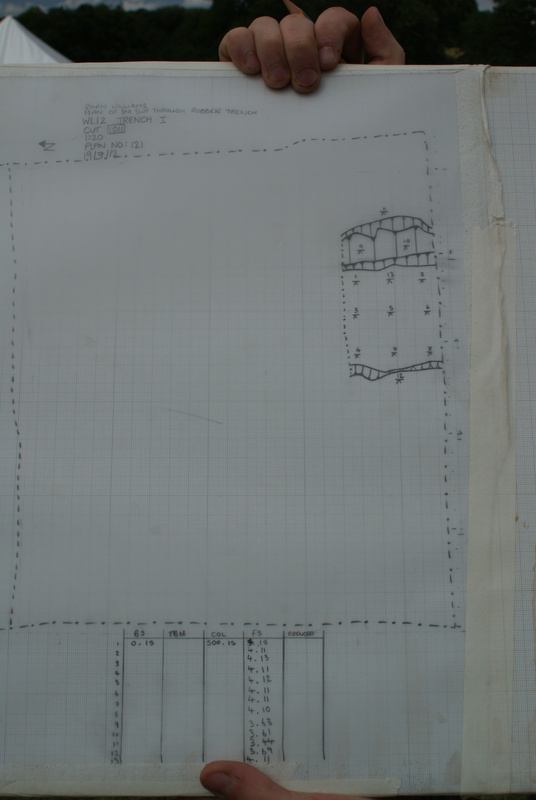 This involves context sheets (as mentioned before) and the drawing of plans (a representation of the features in the trench) and section drawings (so we can see layers of archaeology in trench edges etc). It is a time-consuming but necessary procedure and we spent most of the morning doing it! The features at the bottom of the trench are planned at a scale of 1:20 and everything has to be measured accurately so that everything is in scale (this means we often get tangled up in tape measures and plumb bobs…). All of this work results in a perfect scale plan of the bottom of the trench. You can see the sondage that we dug out of the robber trench (mentioned before) drawn on the plan above with hashes showing the angle at which the features are sloping. The dash-dot lines drawn on the plan represent cuts (edges of holes such as the sondage) that we have made as opposed to the edges of cuts that were made by people in the past (ones which have since filled up with soil which we have then removed). 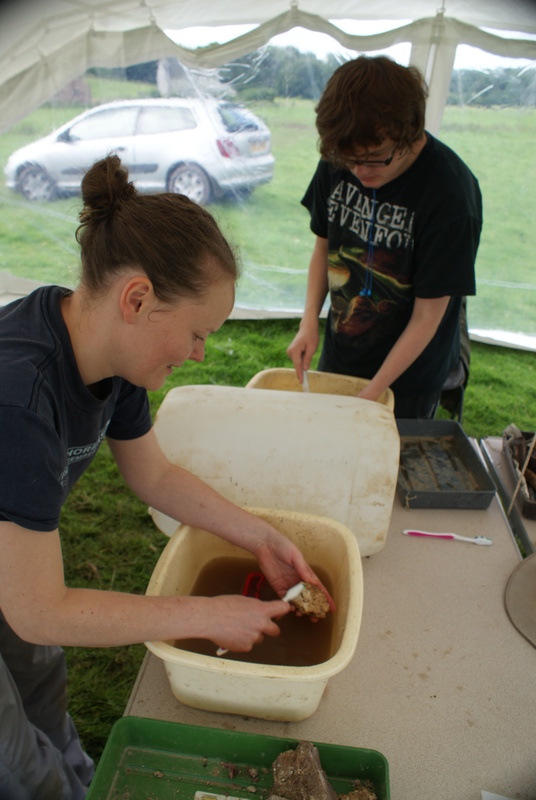 Another important part of the archaeological process is the washing of any finds that we have uncovered. Everything is washed apart from any metal objects and anything that might be damaged by washing. Generally we use toothbrushes and water to wash off any soil which is left on the objects. In the afternoon we began removing the remaining soil from the robber trench hoping to find some evidence of foundation stones. By the end of the day we had removed about half of the soil and found lots of wall plaster, some glass and lots of anthracite but not much else. See below for an ‘end of the day’ photograph.